As we look to the future of a budding movement, let’s talk about Black power. This past month I’ve been realizing how long it has been since I felt proud to be Black. I’m not talking about hating myself, my family or other people like me. I’m not talking about disdain or self-loathing, the poisonous things I’m encouraged to believe about my own community. I am talking about depression. I’m talking about exhaustion. The constant sensation of voicelessness. The draining task of continuously reminding yourself that you have value, knowledge, power, when every system you are a part of is teaching you the opposite. I’m talking about the kind of fury that eats you from the inside, that makes you lash out, makes you do dangerous things because you are tired of being the only person who tells yourself you are important. These have been the primary associations I’ve held around my own Blackness for longer than I understood. I work at a community center for homeless queer and trans youth. The majority of those who access our space are Black. Recently during our weekly community meeting, youth mentioned wanting to discuss the false rumor that filming the police had been outlawed in Illinois. This discussion led inevitably to the riots and looting in Ferguson that have sparked a national movement, but have also received much scrutiny and spin from mainstream media. Youth wanted to know if, given the poor image already held of Black folks in the U.S., it made more tactical sense for a movement to demonstrate that Black people could protest peaceably. The conversation which ensued remained remarkably thoughtful, even as community members challenged one another’s ideas. Youth discussed their own experiences with police violence, and debated about best strategies for protecting and advocating for Black queer communities given its reality. We entered into a nuanced analysis of looting, in which young people drew a line between attacking Black and community-owned businesses, and large chains and corporate outlets, which many felt much less conflicted about targeting. Even more powerfully, by the end of the talk, the room had almost unanimously arrived at supporting militant direct action in place of peaceful protest. There are conversations occurring on an international level that, in the very recent past, I feared I would never witness within my lifetime. They go far deeper than police brutality; Our movements on an immensely large scale are drawing the connections between policing, militarism and the inherently racist order they work to enforce. We aren’t calling for reform; We are collectively recognizing that as long as there is policing, there will be anti-Black violence; As long as there is capitalism, there will be anti-Black violence; As long as we look to the state, the judicial system, the prison system to protect us, there will be anti-Black violence. There is one primary reason these realizations are becoming mainstream. There are beautiful and bitter names of Black children, Black women, Black men, Black trans and queer people on the lips of millions this month. Many of them are not new names. Few of their stories are new or unprecedented. 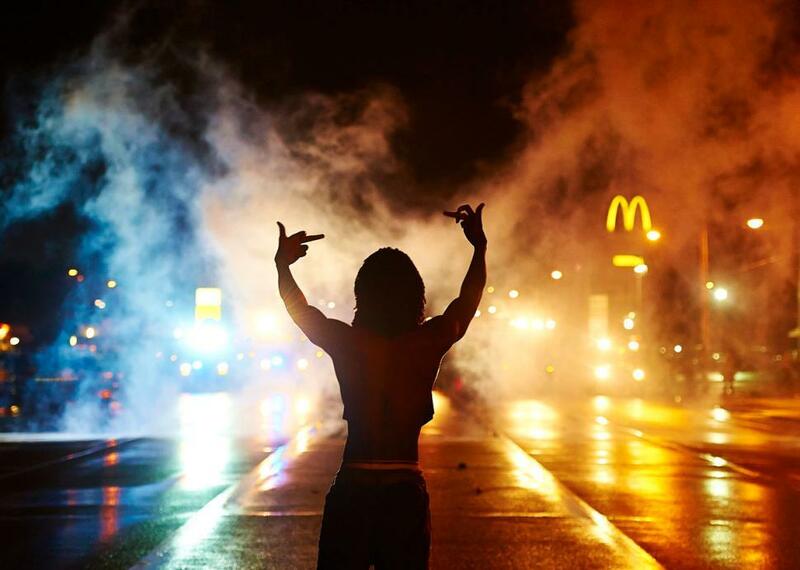 There is one reason, I believe, they have not been forgotten, buried or lost like the countless others that precede them: When Mike Brown was shot by law enforcement, poor and working Black people in Ferguson rioted against the police. Black people took aggressive, combative action to confront a state we have always known is racist and violent. In so doing, they didn’t just start a movement; they set that movement’s tone, its energy, its convictions. Radical actions, large scale disruptions and threats to the daily functioning of consumer capitalism have been made possible not by academia, not by non-profits, not by the classic “Black leaders,” not by media. They are happening because of—being led by—Black youth, families, neighborhoods, community organizations, and their myriad allies. They are acting out of the simplest conviction: That their lives have value. No fact has made me prouder to be Black in my entire lifetime, and in this moment I am learning from my community that my voicelessness comes from trying to speak through the channels meant to demean me. Fury turned outward and backed by community is not destructive, but transformational. Black lives don’t merely matter: They exist at the crux of capital, a class caste system, the hoax of prisons and policing, the erasure of the colonial legacy, the destruction of the earth. Black lives don’t just matter: They are the voices of struggle, the vision of a more balanced world. Black lives more than just matter: Their organic responses to the systems that attempt to destroy them teach us all that aggressive tactics gain footholds for our movements that legislation, litigation, electoral politics and peaceful protests rarely have. If we are to honor Blackness, honor our ancestors, honor those whose courage has given us this movement, then militance, direct action and a commitment to the risk-laden disruption of these interwoven systems must stay at its core. Thank you. I posted a link of facebook. Thank you for sharing! I would like to meet you too! Can you shoot me an email and we could see what’s up?